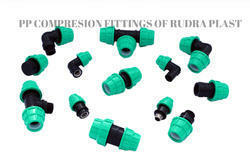 Prominent & Leading Manufacturer from Ahmedabad, we offer mdpe pipe tee, mdpe threaded elbow, mdpe pipe elbow, mdpe coupler, mdpe compression coupler and fta pipe. 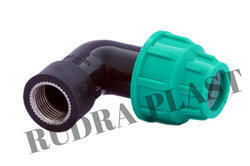 We are among the reputed organizations, deeply engaged in offering an optimum quality range of MDPE Pipe Tee. 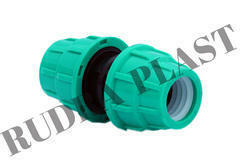 We are offering MDPE Pipe Elbow to our clients. 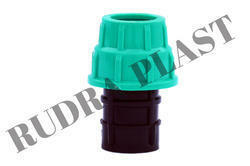 All fittings have a co-polymer polypropylene body, nut and thrust ring, acetal grab ring and nitrile seal. High impact resistant body and nut enables absorption of thermal and mechanical stress. Excellent pressure resistance, tested to 48bar. Simple and quick to connect - no need to dismantle the connecter nor chamfer the pipe, just cut the pipe, lubricate the seal, undo the nut a few turns, insert the pipe liner/insert, push the pipe in as far as it will go, tighten the nut and its done! 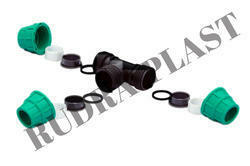 Offering a wide range of MDPE Coupler has enabled us to serve the clients in an effective manner. We are leading manufactrer of MDPE Pipe Elbow. We provide best quality product with Best market rate. Our Product range is 20 mm to 110 mm. 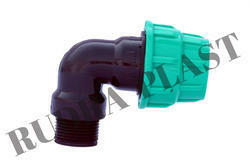 We are offering MDPE Pipe Fitting.